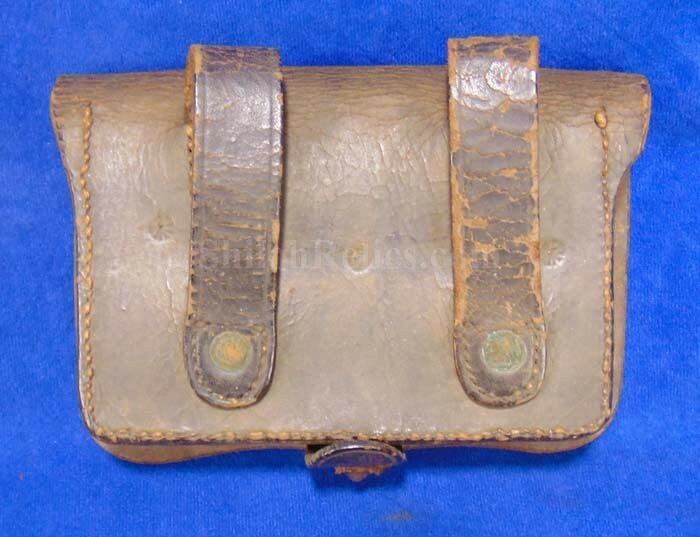 This is a very attractive authentic cartridge box for a Civil War revolver. 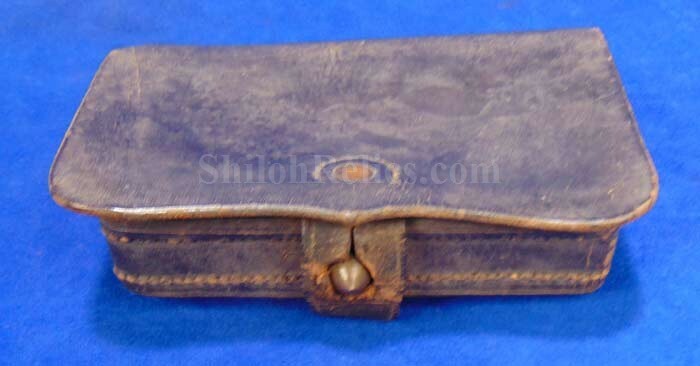 This is the version that measures approximately 6 inches by 4 inches in size. 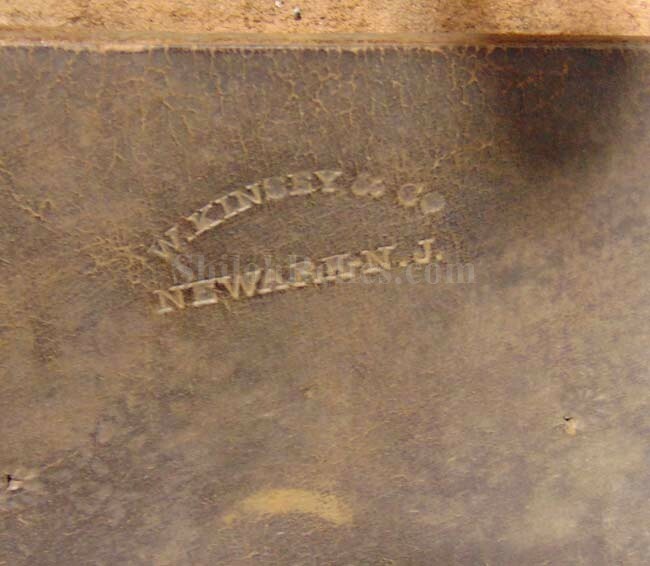 The inner body of the box has the maker’s mark of "W. KINSEY & Co. NEWARK, NJ”. This isn't a maker that you often find on these boxes. 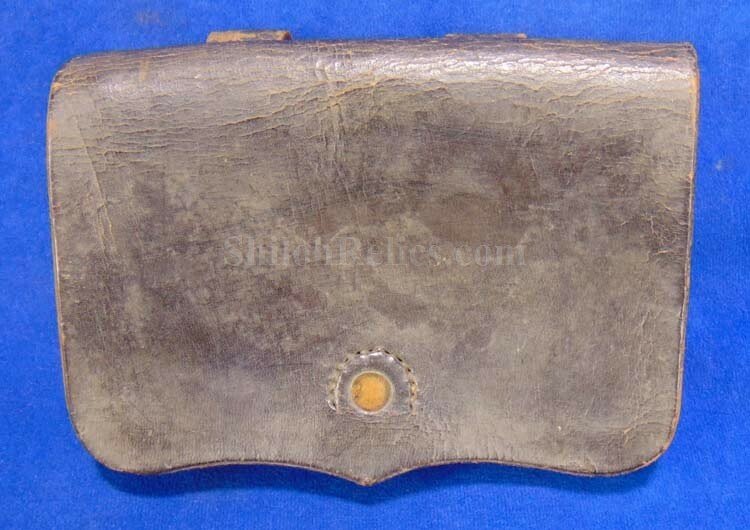 The leather closure tab and brass finial are intact and both are complete and in nice shape. 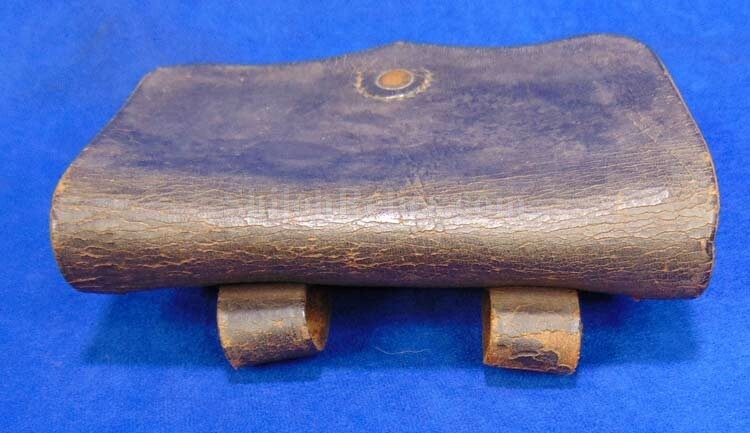 On the back of the belt there are both of the belt loops present and solid as a rock. 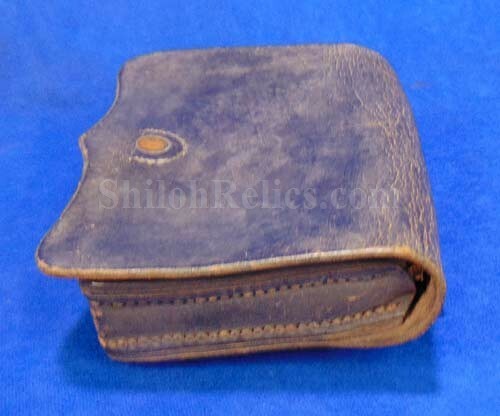 The leather has an attractive black tone to it. This one will be a fine addition to any collection and will display well with any caliber of Civil War revolver.